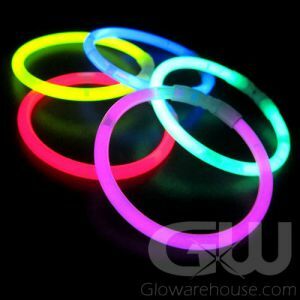 - Standard Assorted Color 8 inch Glow Stick Bracelets! - Waterproof! 5mm Thick! Break-away Connectors! 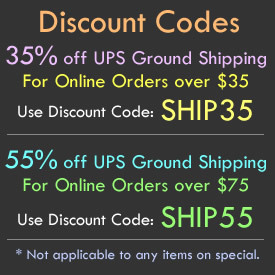 - Includes 10 pcs Each of Green, Red, Yellow, Pink and Blue! - Charity Events! School Dances! Glow Parties! 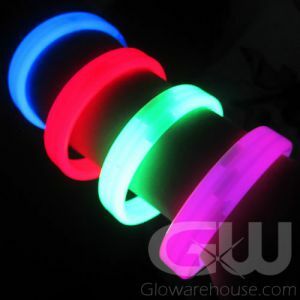 A package of fifty Assorted Color Standard 8 inch Glow Bracelets means lots of fun glowing color at a terrific price! 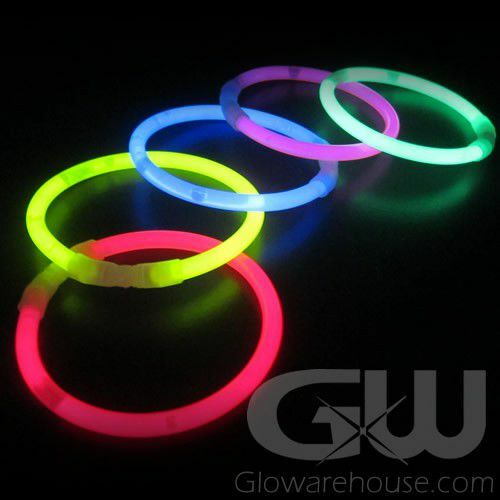 With the Assorted Color 8” glowing bracelets you can be prepared for any fun night time event that comes up – for sport team parties or fundraisers, office parties, a backyard pool party, concert or fair! 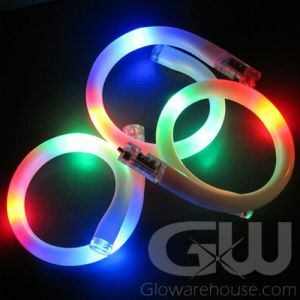 The possibilities are infinite and so is the fun you can have with so many brilliantly colorful 8 inch glowing bracelets! 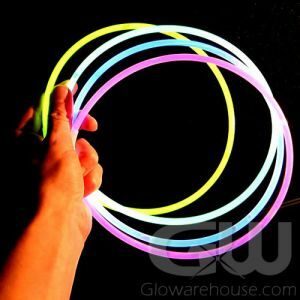 Included in the Assorted Color tube comes 10 Blue, 10 Yellow, 10 Green, 10 Pink and 10 Red 8" Glow Stick Bracelets! 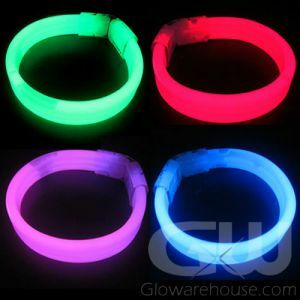 With this luminous pack of Assorted Color 8" Glow Bracelets, you receive an assortment of the most popular colors - plenty to really ratchet up the glow at any night time event! 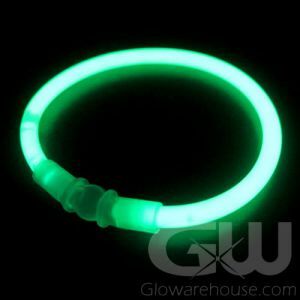 Wear several glow in the dark bracelets at once as colorful, glowing bangles, and remember to share with all your friends! 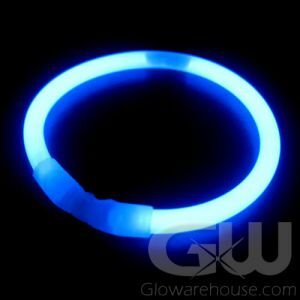 The fun never stops, nor does the endless amount of decorating ideas and effects, when you have colorful, glowing bracelets on hand! 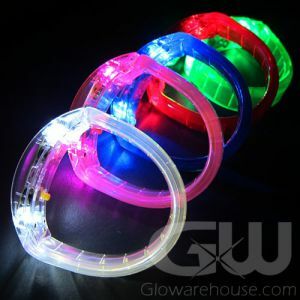 The 8” Assorted Color Glowing Bracelets simply inspire fun wherever they are worn or decorated with. 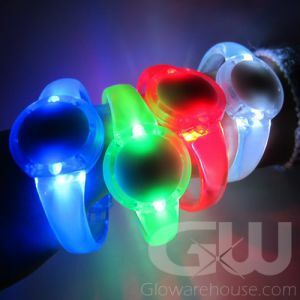 Whatever the event, once you’ve discovered the fun possible in the use of glow bracelets from GloWarehouse.com, you will love coming back to us again and again. 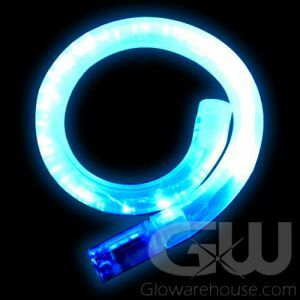 Glowarehouse.com proudly carrries Duralume brand glow bracelets, glow necklaces and glow sticks so you can be sure you are purchasing only the highest quality glow!